Sainte-Maxime is a french small seaside town located in the Var department, 5km north of Saint-Tropez. It belongs to the Provence-Alpes-Côte d'Azur region and is on the French Riviera. The village was founded around 1000 AD by the Monks who built a monestary and named the village making honour to the Saints of their order – Maxime. Originally, the village lived on fishing but during the 19th century the village has shipped a large amount of cork, lumber, olive oil and wine to Marseilles but also to Italy. In the 20th century, the village was attracting many writers, poets and artists. Nowadays, we can say that tourism is the main source of revenue of Sainte-Maxime. Indeed, a lot of tourists are going there to spend holidays to enjoy the beautiful surroundings and the azure blue water of the Mediterranea. Sainte-Maxime received in 2010 the national label “Famille Plus” because of the good exeprience and know-how with families going there on holiday. It is also a place where you can find many bars, restaurants, shops and markets. Sainte-Maxime has many things of great interest like the small old town in which you can find a lot of traces from the medieval past. Indeed, this part of the city is pretty and you can find the Tour Carrée which protected the Gulf from invaders. Moreover, you can find the Botanical Gardens of Sainte-Maxime called “Parc Botanique des Myrtes”. This place is very quiet and is located a few steps from the noisy beaches. Thereby, people can have a relaxing walk across the regional trees and bushes and have a break in the kids playground area or in the picnicking area. Regarding leisure, you will have the opportunity to do every kind of sport you want. The seaside will permit you to swim, sail but sports like scuba-diving or water skiing. Apart from that, the beautiful surroundings make it possible to walk and hike across this region. As far as Sainte-Maxime pay special attention to families, the nightlife is quiet there but for the visitors who want to party they can go in the late-opening clubs in summer or they also can easily go clubbing to Saint-Tropez. However, there are plenty of bars where you can enjoy the summer ambience in a bar in the pedestrian part of the town or in a beach club. For doing your shopping you will find there some little streets with plenty of souvenir shops and shops selling handicrafts. Moreover, there is a market every day where you can find some regional products but also some painters coming from the region. 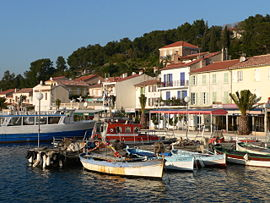 As well as french climate is mostly oceanic, Sainte-Maxime has a Mediterranean climate. We can say that the climate is generally warm and the summer months are less rainier than the winter months in Sainte-Maxime. In august, the temperature can reach 31°C and the average January temperature is 7°C. Using public transport is common in Sainte-Maxime. Indeed, there is a shuttle named “Simplicité” which bring you wherever you want in Sainte-Maxime for only 1€ per day or 10€ per month. So you can go through Sainte-Maxime easily in a comfortable and eco-friendly way.